This is a brand new item at The Gingham Grasshopper. 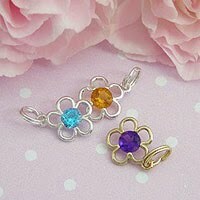 These are little birthstone flower charms with genuine faceted birthstones. 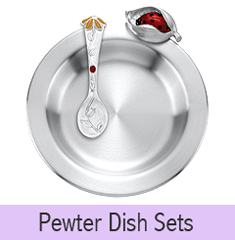 They are available in both sterling silver and 14 kt. gold flowers and all twelve birthstones, plus a few alternate birthstones. 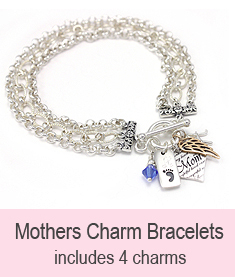 These precious little charms can be added to any of our baby bracelets or baby and children's jewelry. 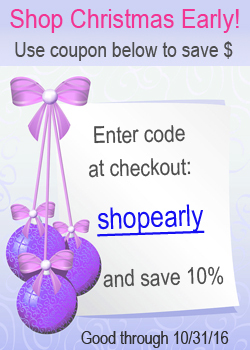 They are available in our Jewelry Accessories category, along with other new engravable items. The faceted gemstones in our birthstone charms are 4 mm, and the flower charm is approximately 8 - 9 mm. Come check out the new accessories at The Gingham Grasshopper.